For most of us the brand Ricoh will conjure visions of cameras, office printers and document management solutions. But that’s no longer the bread and butter for Ricoh; it is now an end-to-end IT solutions company and most of its revenues come from IT services and large projects. In fact, helped by revenue from IT services, it grew at a CAGR of 55 – 60% over the past 5 years. Its revenue grew from 300 crore to 1,673 crore in five years. The latest figure was reported at the end of FY 2014 – 15. It is now tapping opportunities in the Government of India’s Digital India program. Exactly a year ago, Ricoh India, a subsidiary of Japanese electronics and imaging company Ricoh, won a contract to supply hardware as part of India Post’s modernization program. The contract, which was initiated by the Department of Posts, is worth Rs 1,370 crore. It is now eyeing smart city projects and sectors such as real estate, hospitals/healthcare, education and manufacturing. Digital Creed met Manoj Kumar, Managing Director & CEO of Ricoh India Limited at the launch of its latest camera, the Ricoh THETA S.
Kumar informed that Ricoh India has been actively involved in Government to Citizen projects and mission mode projects as part of the Digital India program. This project aims to convert post offices into vehicles of financial delivery. It is a well known fact that the Department of Posts is India’s oldest bank — your grandparents will recall the joy of receiving a money order, hand delivered by a post man! The vast network of post offices that spans the length and breadth of the country is also the nation’s most elaborate network. Explaining how Ricoh’s contribution to the project works, Kumar said Ricoh would supply a handheld device loaded with an app to every postman. The device will connect to a data centre via a wireless network. The device will authenticate citizens via thumbprints. And this thumbprint is matched with a copy in the data center or through the Aadhar database. Once authenticated, the citizen will be able to carry out banking operations. Kumar informed that the application can be extended to service payment of utility bills and payment towards booking of tickets. The THETA camera (and other Ricoh products) will be components of a solutions package for big service projects such as smart cities. And Ricoh’s revenues will come through a service component. And the Digital India projects that Ricoh wins is sure to create demand for its products and services. So for Ricoh, the THETA camera is viewed not just as a consumer device, but as a strategic component of a large solutions package for a major (multi-crore) project. Ricoh will sell its products through its large pan India network of 350 channel partners. It has tie-ups with 100 SIs and 2,500 distributors and resellers. The new THETA-S cameras will be sold through this vast channel. 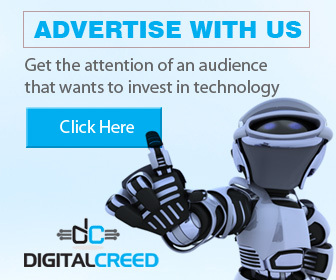 Digital Creed has learned that it will also be available through one of the online shopping sites in India. “We are optimistic about selling 200 – 300 THETA cameras in the coming months,” said Kumar. Ricoh India reports to Ricoh Asia Pacific, based in China. The company has been in India for 35 years and is a pioneer in the imaging business, which includes photocopiers, digital duplicators, large-format printers, and cameras. “About five years ago we realized that the market for these products may not be growing at such a fast pace in the years ahead. The major technological changes taking place around us created a shift in market trends and the needs of the customers were changing. And we realized that instead of just producing standalone devices the market was moving towards systems and solutions. Therefore, we decided to complement our core business of imaging by adding new business lines to our product portfolio. A significant product line that we added at that time was IT services,” said Kumar. The IT services that Ricoh introduced complemented the range of offerings it was already offering to its customers. It also paved the way for the company to emerge as a one-stop solution provider, to meet all the needs of its customers in the office space. And Ricoh calls this approach “360 degrees”. But Kumar is not complacent and wants to grow further. He is eyeing large projects in government and the aforementioned industries.